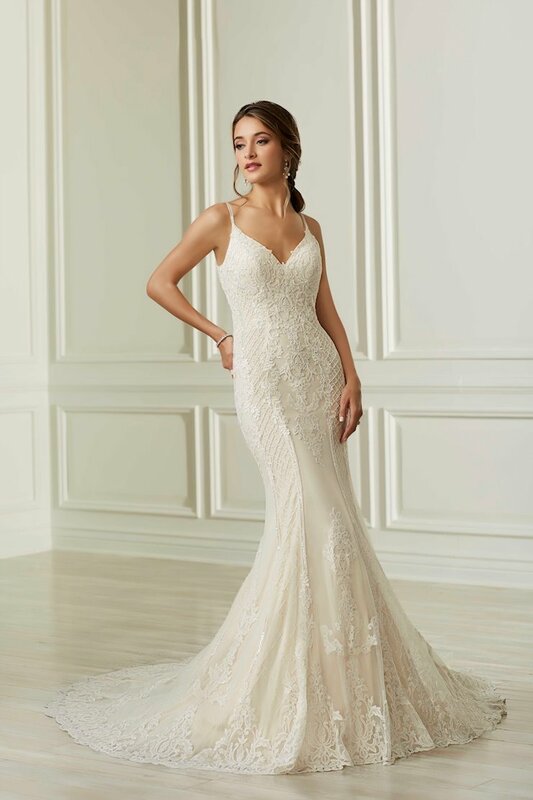 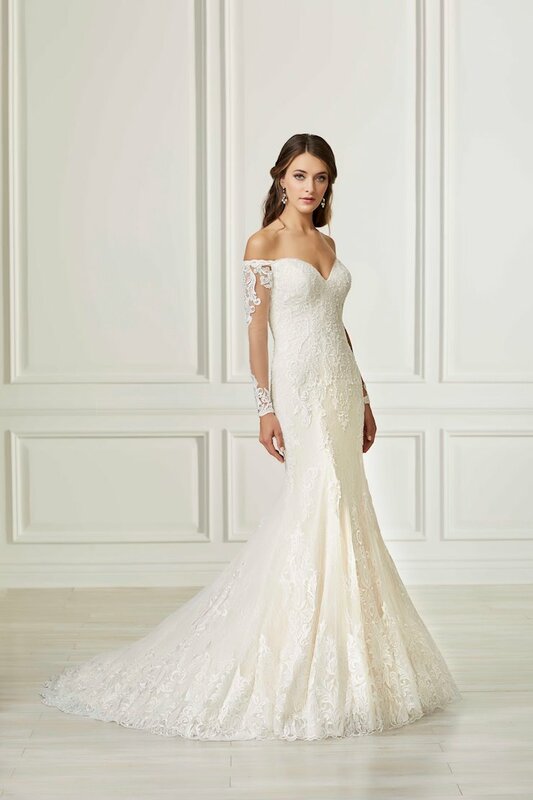 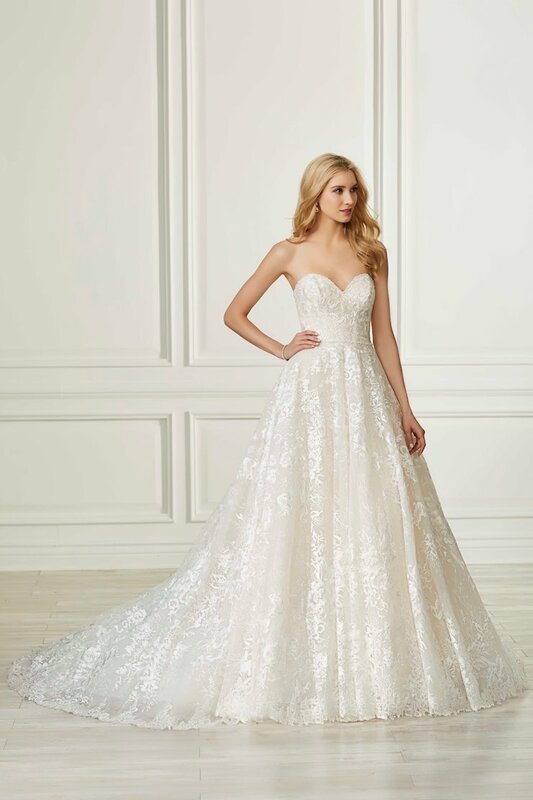 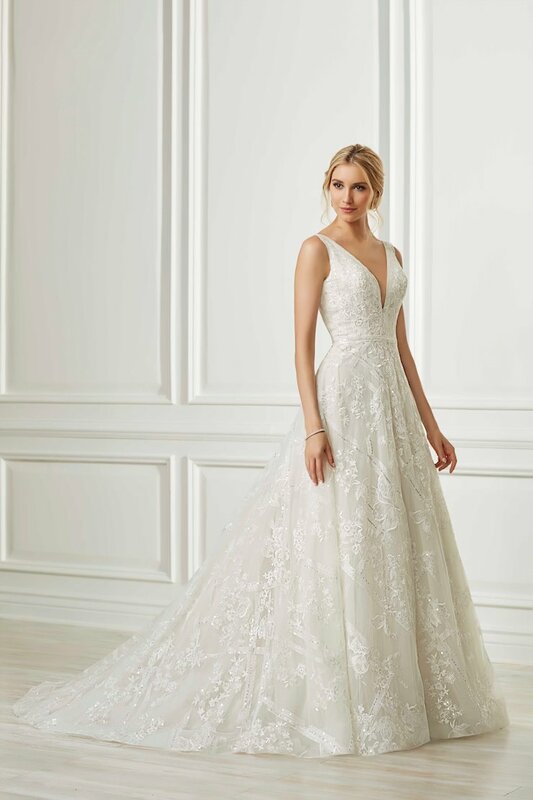 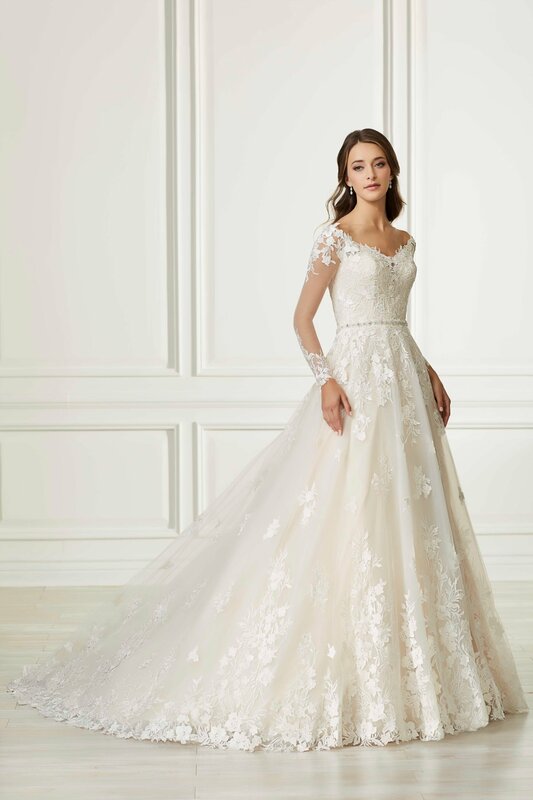 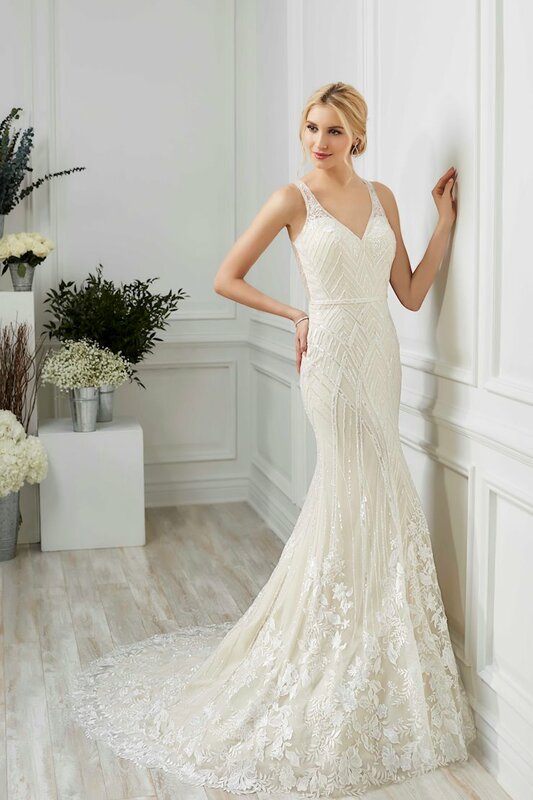 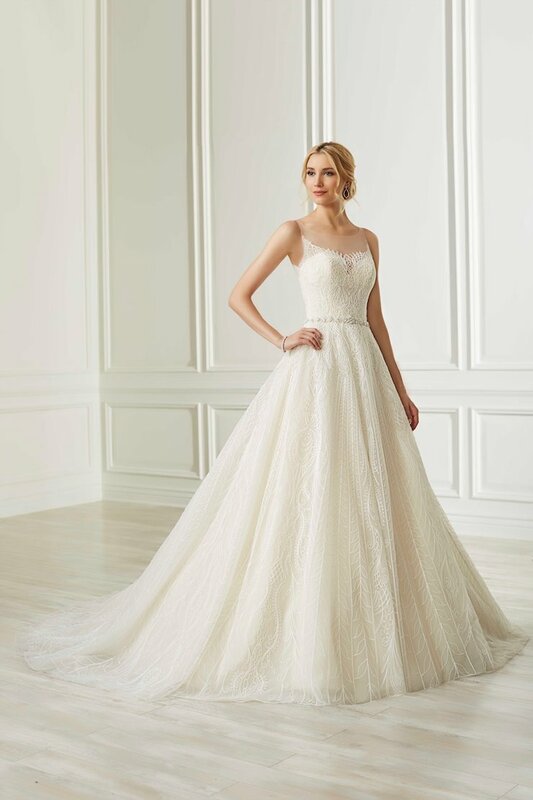 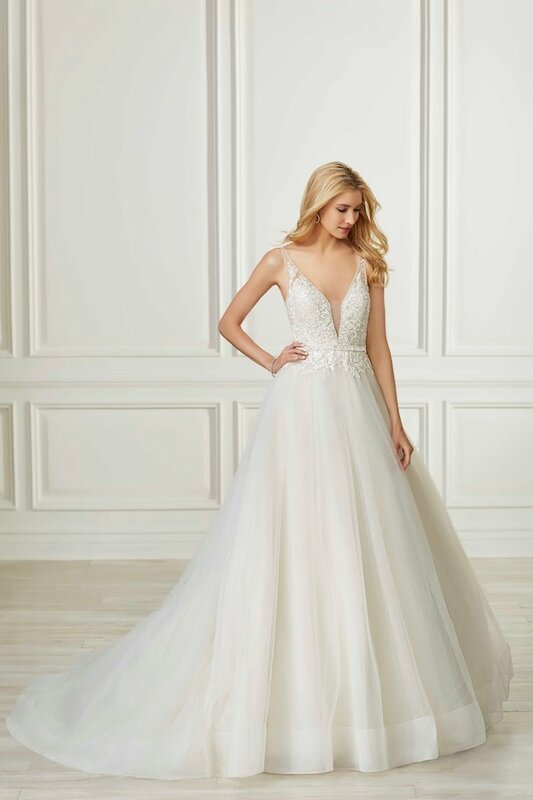 This A-line gown features a beautiful off the shoulder neckline. 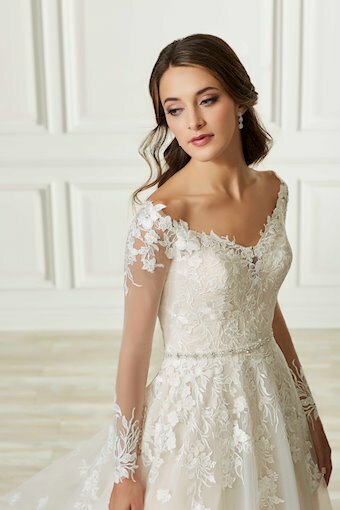 Lace tails on to the shoulder and comes back up at the wrist. 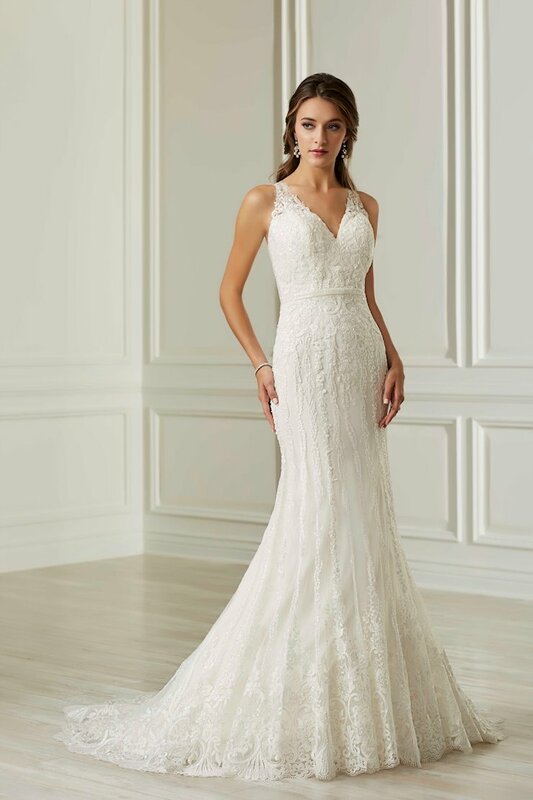 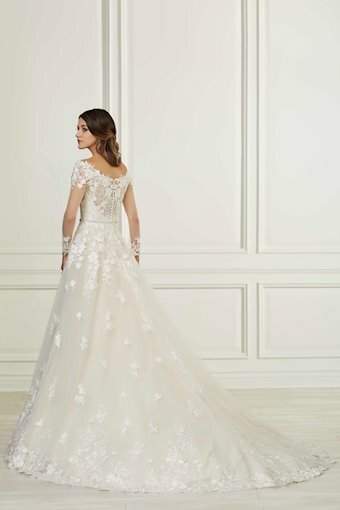 The back bodice is a beautiful illusion that is covered with lace and opens and closes with buttons and loops. 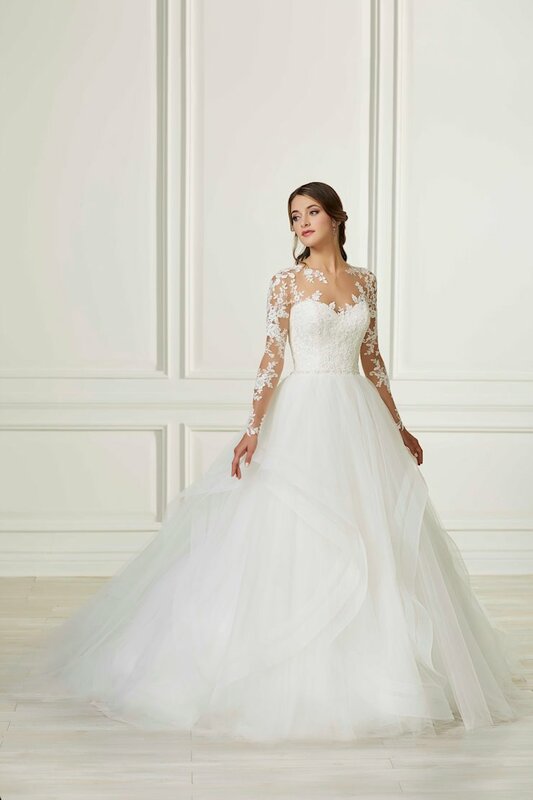 The lace trails back onto the skirt . The hem is finished with a dramatic lace border.